Does Lotto Profits Really Work? Read Reviews! 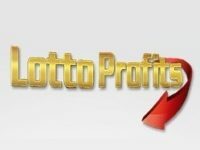 Lotto Profits is yet another piece of software that promises to give you the mathematical formula aimed at increasing your odds of winning the lottery. Lotto Profits is yet another product for lottery enthusiasts aimed at capitalizing upon their desire to improve odds of winning. The official Lotto Profits website doesn’t reveal much but supposedly, the software uses a mathematical formula for the purpose of helping lottery players choose the right numbers for the respective drawing. Is this really so? We will dig deeper and try to find the answer together. What Is Lotto Profits and What Does It Do? Lotto Profits is a mathematical algorithm software that supposedly chooses the right numbers to play in a lottery drawing. If you have some interest in lottery software, you have seen this story a thousand times before. 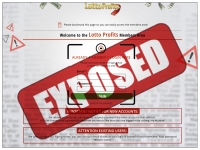 Lotto Profits is advertised in the exact same way as many other programs and apps aimed at doing the same thing – we have reviewed many of those and you can acquaint yourself with the facts by going through the individual reviews. We once again have the story of a simple guy who has managed to cheat the system and who wants to share the story with the world – how magnanimous on his behalf. Supposedly, Lotto Profits has contributed to winnings of 176,000 dollars over the course of three months. Of course, however, there is no evidence and no official statements on behalf of the people who won so much using the software. While the number sounds good and it is also excellent for advertising purposes, it isn’t backed up by anything. Hold on to your chair because you may fall down when you hear about the price. Lotto Profits comes with the modest price tag of 147 dollars per month. Yes, you read that correctly – per month. It isn’t a single time payment. The ridiculous amount will be credited for every single month you decide to opt for this nonsense program. The moment you go to the Lotto Profits website and you click on the button stating that you’re not a website member, you’ll be taken to a PayPal screen that prompts you to make a payment. There’s no explanation of what Lotto Profits is, no free demo. Unless you pay, you have no way of knowing exactly what you’re getting yourself into. Obviously, this isn’t right. How Does Lotto Profits Work? A million dollars question, isn’t it? Unfortunately, nobody is willing to provide the answer. Since Lotto Profits has an affiliate program, there are dozens of websites out there that post fake reviews (please be careful and don’t trust the generic hype!). All of these reviews claim that the Lotto Profits maker has uncovered a revolutionary, yet legitimate way to cheat the system and increase your odds of winning. How exactly does that happen? The answer is as vague as it could be – through a mathematical formula. Who would have thought?!? According to actual people who have used the software (which we managed to discover after lots and lots of digging), Lotto Profits uses the same tired formula – hot and cold numbers. There are so many such systems out there that it’s becoming difficult to keep track of all of them and their ridiculous claims. Lotto Profits, just like other similar products, is trying to capitalize on gullible people. It makes grandiose claims about giving you the winnings every week, helping you generate enough income through the lottery and transforming your life. Please, please, please – do not trust such statements. All that you will accomplish through the purchase of Lotto Profits becomes 147 dollars poorer every single month. There is no free trial and no demo version of Lotto Profits. To see how it works, you will actually need to make a purchase. Lotto Profits comes with terms and conditions that have become pretty standard for the products within the range. It doesn’t guarantee you winning and if you end up losing a lot of money without receiving anything in return, you can’t hold the Lotto Profits developers accountable. As already mentioned, Lotto Profits has an affiliate program. Affiliates earn money each time someone buys the software through a referral via their website. This is the exact reason why there are hundreds of positive reviews out there but they all sound the same and they all seem to be created by someone who has never used the software. Who Is Behind Lotto Profits? This is another question that cannot be answered. The Lotto Profits creator has gone the extra mile to remain anonymous (it says so on his website). He has put the product together under a pseudonym so no matter how much digging you do, you can’t find information about an actual person or a company behind the product. The pseudonym used is Jeremy Steward. Supposedly, Jeremy is a former military intelligence officer (don’t you just love the ridiculous stories these people come up with?). While working for the military, our pal Jeremy practically became a math genius. Since he didn’t have anything better to do and he wanted quick cash, Jeremy started playing the lottery. That’s how he came up with his award-winning software (his claim, not ours). On top of being a math genius, Jeremy also interviewed people who had won the lottery multiple times. It has become clear by now that people who win the lottery and who know how to cheat the system simply can’t wait to share this information with the rest of the world. We honestly believe that the story is completely made up. It’s probably the least believable one out of all backgrounds pertaining to lottery winning software. Jeremy is obviously someone who is hungry to make cash out of gullible individuals. That’s the only thing about him that we can be 100 percent confident on. Would you mind rating Lotto Profits? Please do not trust the fake reviews out there and save yourself from the disappointed. Lotto Profits is a ridiculously overpriced piece of nothing that will not make you any richer. You can find hot and cold number prediction tools for free on the web. Their effectiveness will probably be higher than that of Lotto Profits. Lotto Profits doesn’t offer anything new or different. It is shrouded in secret and mystery, which obviously raises a red flag. A product that is legitimate and that does work will certainly come with a much more thorough description and a reduced need for reliance on fake reviews. Lotto Profits is not worth 147 dollars. in fact, it’s not worth five dollars. Do yourself a favor and if you have this amount of cash around, put it to a better use. Lotto Profits gets a 1 out of 10 stars rating.